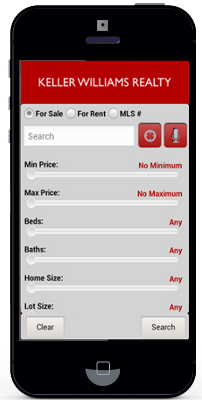 Natalie comes to the Select Homes Team at Keller Williams Realty with a unique approach to real estate sales. Real estate and interior design are her passions. As an experienced Real Estate Sales Professional with 17 years of experience, New Homes Sales Specialist and award winning Designer she provides a unique and personal approach to the Real Estate Industry. 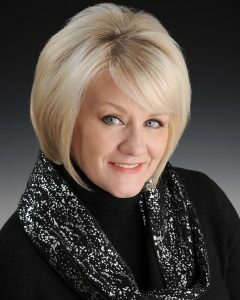 Natalie has been helping buyers and sellers throughout the Capital Region, Warren County, Lake George and beyond. She began her career in the Financial Services industry where she held a series 7 license which formed the foundation for the next stage in her life. After taking cherished time to raise her family she reentered the workforce taking her combined experience in customer service, sales, and a passion for the arts to the new home industry in the early 2000’s. Her new home sales career began with the Michaels Group, a highly recognized builder, in the capital region of upstate New York. Several years later she was able to take her talents of home building and interior design to a new level. With her influence, knowledge of real estate and design she helped with the development of a luxury subdivision in historic Saratoga Springs, NY. During this time she served as the site coordinator and interior designer. Utilizing her distinctive combination of talents she has produced multiple award winning homes. With a comprehensive background, proven track record and energetic personality Natalie provides a professional and unique experience for her clients. She is truly passionate about building relationships with her buyers and sellers to provide the total experience from the moment you walk in to the time you close and often the friendship continues on long after the closing. Providing exceptional service is a must and is something she takes pride in. Natalie looks forward to continuing her passion and looks forward to working with you in “Designing your next move”. Affiliations: Greater Capital Association of Realtors, National Association of Realtors, Capital Region Builders and Remodelers Association, National Association of Home Builder’s. Natalie is married and has two grown children, her son Preston who lives in Colorado, her daughter Morgan who lives in DC with her husband and their new baby, her grandson Quinn, (who lives too far away). She is a longtime resident of Clifton Park and a lover of dogs, especially rescue dogs— poodles more specifically. When she isn’t busy helping you find your dream home or selling your current home you can find her cooking, biking, or enjoying quality time with her family. She firmly believes that “everything happens for a reason” and you will often hear her uttering her favorite saying.